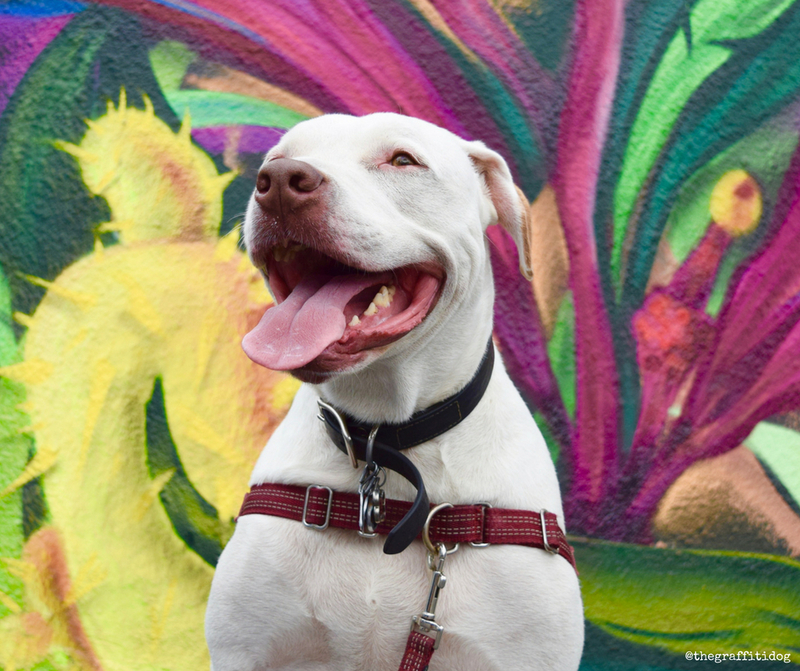 Teaching your deaf dog new hand signs is a great way to provide dog enrichment, increase your deaf dog’s problem-solving skills, expand her or his vocabulary and strengthen the bond between you and your deaf dog. And by using a healthy, single-ingredient dog treat that you will feel good about offering your dog as a training reward, you can enrich and improve not only your deaf dog’s life but yours as well! What is Dog Enrichment and Why is It Important? 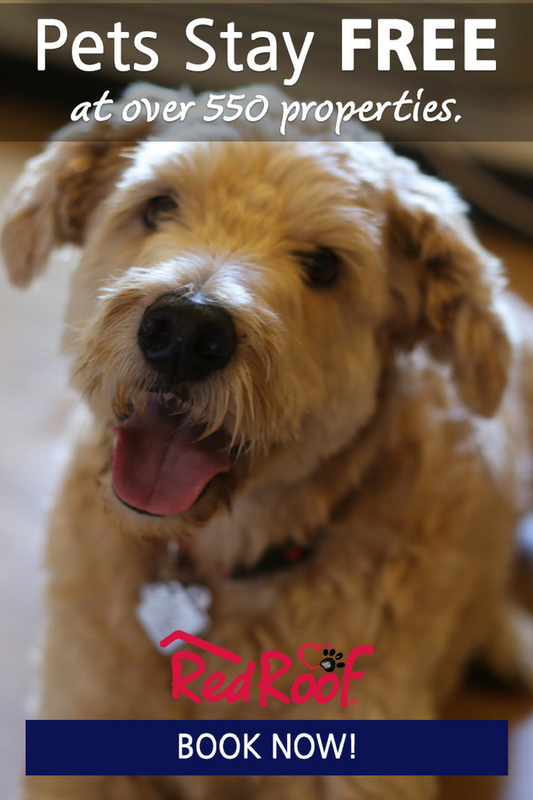 Enriching your dog’s life doesn’t need to be complicated or expensive. Allowing your dog to play with other dogs is another way of enriching your dog’s life- so long as he or she likes playing with other dogs. Playing fetch or tug, interacting with puzzles games and offering food or treat dispensers are some other examples of canine enrichment. The more enrichment activities you can incorporate into your dog’s life, the better! 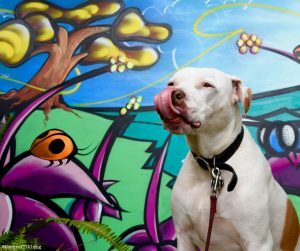 Why Teaching New Hand Signs Enriches Your Deaf Dog’s Life…and Yours! This educational post is sponsored by Dr. Harvey’s. 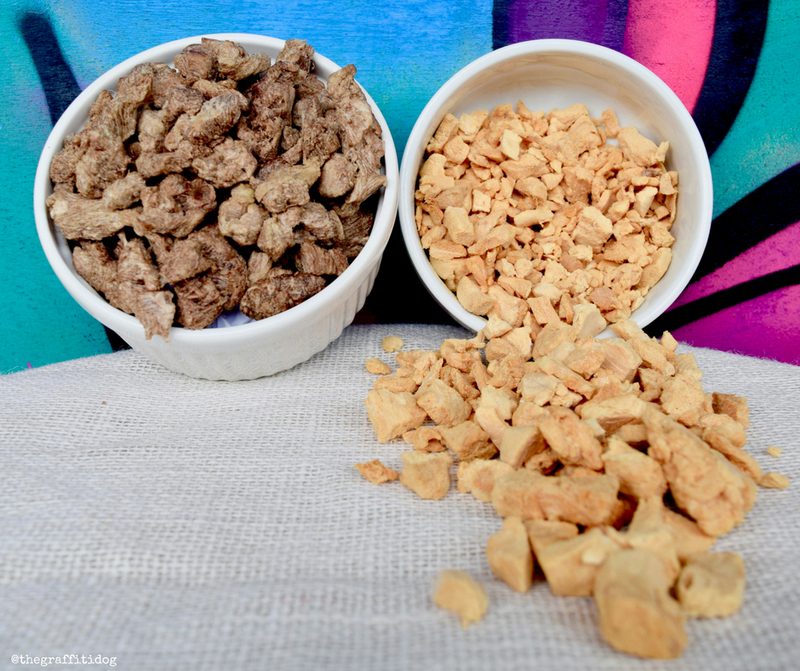 I am being compensated to share my honest opinion of Dr. Harvey’s Le Dogue Bites holistic dog treats. 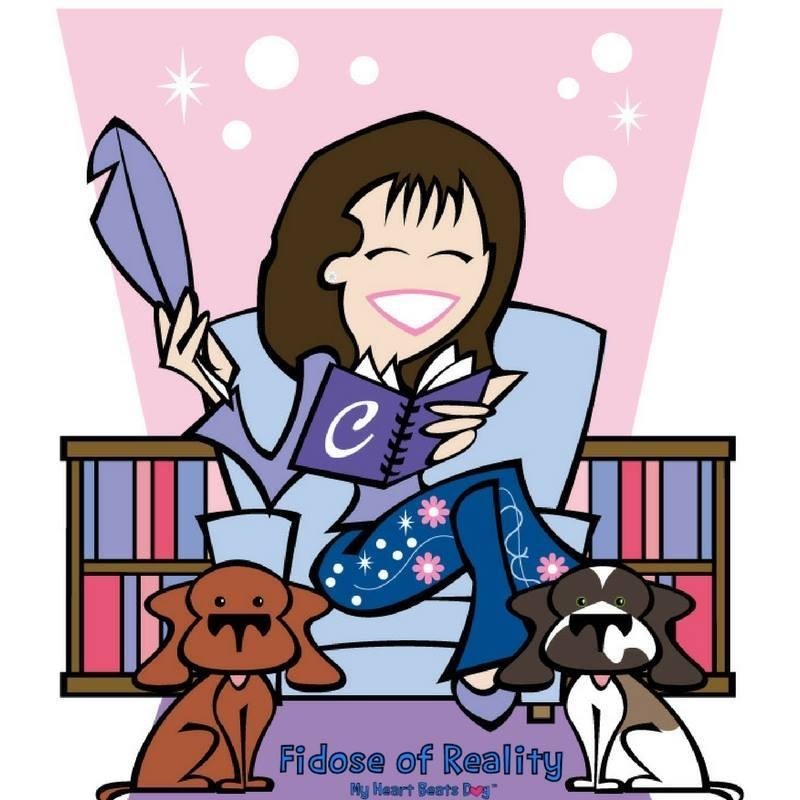 I only share information that I believe in and that I feel is beneficial to my readers and deaf dogs. Dr. Harvey’s is not responsible for the content of the article. 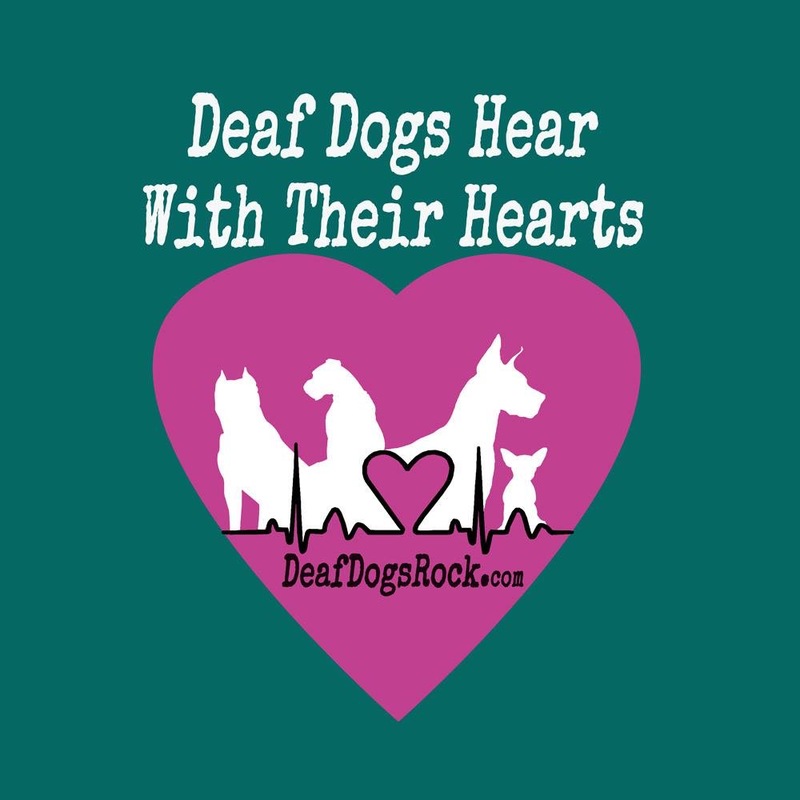 For deaf dogs, teaching new hand signs is a great enrichment activity because learning new signs and skills stimulates your dog’s mind, increases his or her vocabulary and problem-solving skills and strengthens the bond between you and your deaf dog. These all help to ensure your dog is healthy and fit- physically, mentally and emotionally- which is the goal of any responsible pet parent, right? Also, if you choose new signs that are practical and serve a specific purpose in your life, you are enriching your own life at the same time. And I’m all about improving my dogs’ lives while making my life easier whenever possible. One of the hand signs that Edison and Foster know is the American Sign Language (ASL) hand sign for “cookie”, which we use every time we offer them a treat. The sign for “cookie” requires two hands, which is fine when the dogs are inside or in a fenced in area, but if we’re out and about and I’m holding one or more leashes, two-handed signs aren’t very practical. Because I can’t always use a two-handed sign, I’ve begun the process of teaching a second sign to use for treat- one that requires just one hand. Technically, the new one-handed sign I am teaching for treat is the ASL sign for “candy”, but I’m sure the Dr. Harvey’s Le Dogue Bites dog treats I’m using as training rewards are Edison’s & Cos. version of a Snickers bar- except Dr. Harvey’s treats are healthy! Before you begin teaching your deaf dog a new hand sign, you need to do a few things. First, you need to decide on the sign you will be teaching. I prefer to use ASL whenever possible. If you are not fluent in ASL, I would consult an ASL dictionary or a reputable website with videos to help choose the right sign. If you prefer, you can make up your own sign…the only rule when it comes to deaf dog hand signs is choosing what works best for you, your dog and your lifestyle. Second, you need to learn the hand sign yourself. You can’t teach a sign unless you have mastered it yourself. Practice using the hand sign, perhaps in a mirror, to make sure you are signing properly. Third, you need to make sure you are using positive reinforcement training techniques, which leads me to choosing a high-value training reward. 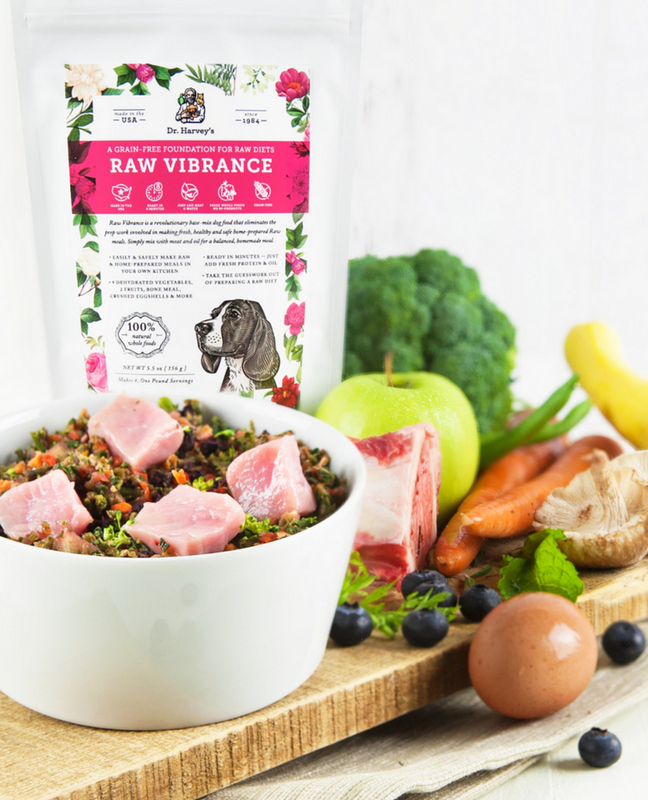 I choose treats and training rewards the same way I choose a dog food; I want all-natural, holistic, healthy food and treats that are made with whole food ingredients and contain no chemicals, dyes, fillers, preservatives, corn, wheat or soy. 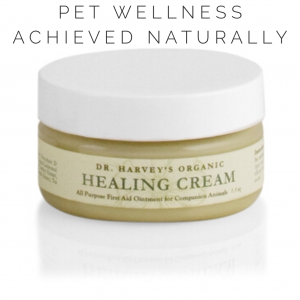 That is why my go-to for training rewards are Dr. Harvey’s all-natural treats. 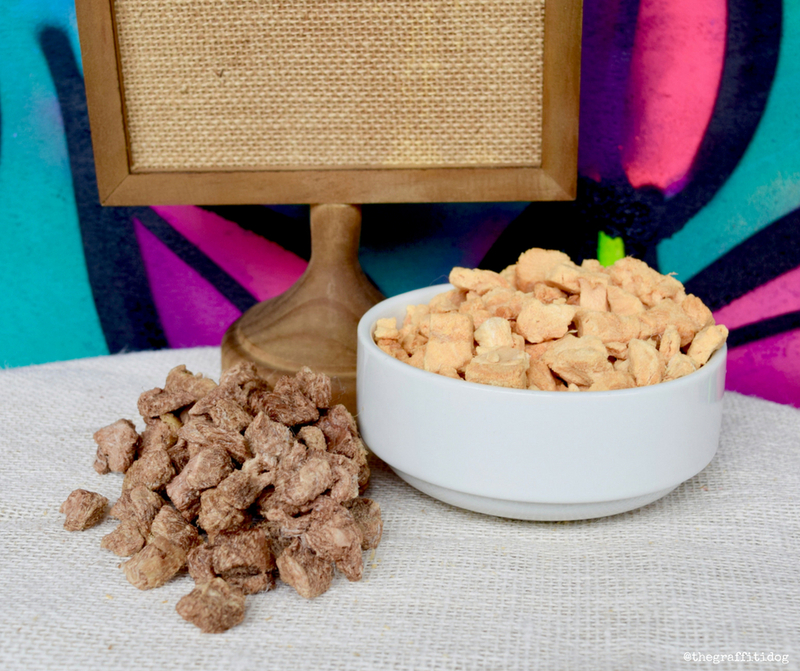 I choose one of Dr. Harvey’s four different treat options– Coconut Smiles, Sweet Potate’r Chews, Power Pops freeze dried green beef tripe or Le Dogue Bites– because each of them are made with a single-ingredient. Not only do I know exactly what is in them but my dogs love them! For teaching this new one-handed sign for treat, I am using Le Dogue Bites, which are all-natural, freeze-dried treats made with a single ingredient- beef, chicken or fish- and that’s it! Each flavor contains zero chemicals, preservatives, dyes or coloring agents. With no added sugar or salt, Le Dogue Bites are simply tiny bits of a single meat with no fillers. To offer variety during training and help keep my deaf dogs motivated, I am rotating between the fish and beef flavors. Step 1: First, I give the old sign for “cookie” and then offer a piece of Le Dogue Bites. By starting with a sign they know, I am getting my deaf dogs in the right frame of mind…that treats are coming! This helps get them focused and motivated. Step 2: I then give the new one-handed sign I’ll be using for treats, in this case, the ASL sign for “candy”. As soon as I give the sign, I immediately offer another piece of Le Dogue Bites. Step 3: I continue giving the new sign and immediately offer the reward for several minutes. As with any dog training, it’s best to keep your training sessions short at first and slowly increase the length of time of each training session. It’s also good idea to have several short training sessions each day. Step 4: After a few days of training, try giving the new sign and see if your deaf dog responds. If so, great! Your dog has learned the new sign pretty quickly. However, if your dog does not respond, keep conducting several short training sessions each day for a few more days and then test your deaf dog again. Continue repeating as necessary. Step 5: Once your deaf dog knows the new sign, it’s important to reinforce the sign by using it on a regular basis. Step 6: Once you’re confident your dog knows both signs, it’s equally important to use them interchangeably to ensure he continues to respond to both. Reinforcement of both hand signs is key to making sure your dog responds. My two deaf dogs know two different hand signs for sit, down and stay- the ASL sign and the obedience command- and this is the process I used to teach the second sign once they knew the first one. Check back next month for an update on how well Edison and Foster are doing with this new sign for treat! 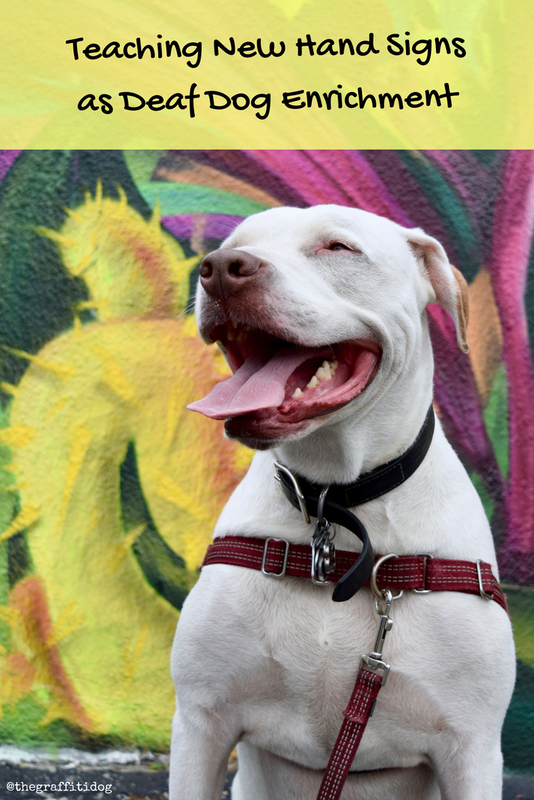 By being consistent, using several short training sessions each day and being patient, the steps I outlined above will help you teach your deaf dog a new or a second hand sign for the same activity or behavior. 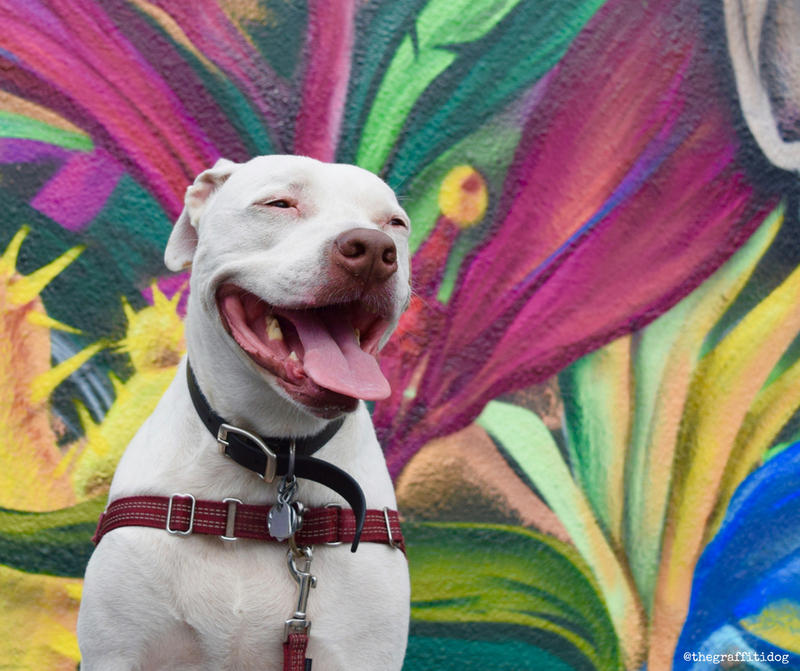 In the process of teaching a new hand signs, you are enriching your dog’s life, stimulating his or her mind and increasing your deaf dog’s vocabulary. 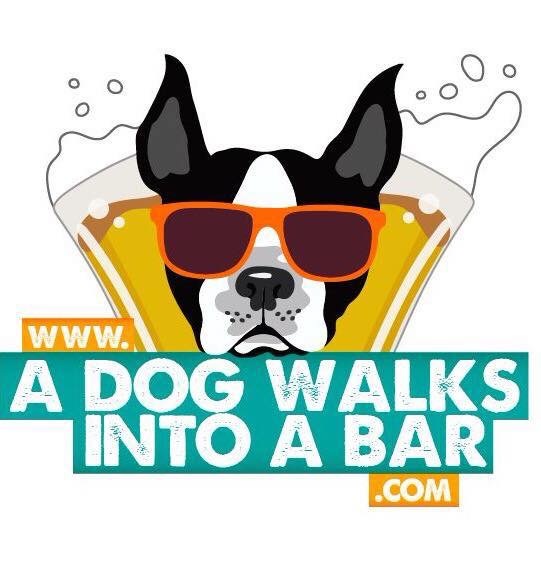 As your dog learns new and signs, you can proudly show off just how smart and capable your deaf dog is to strangers at Starbucks! 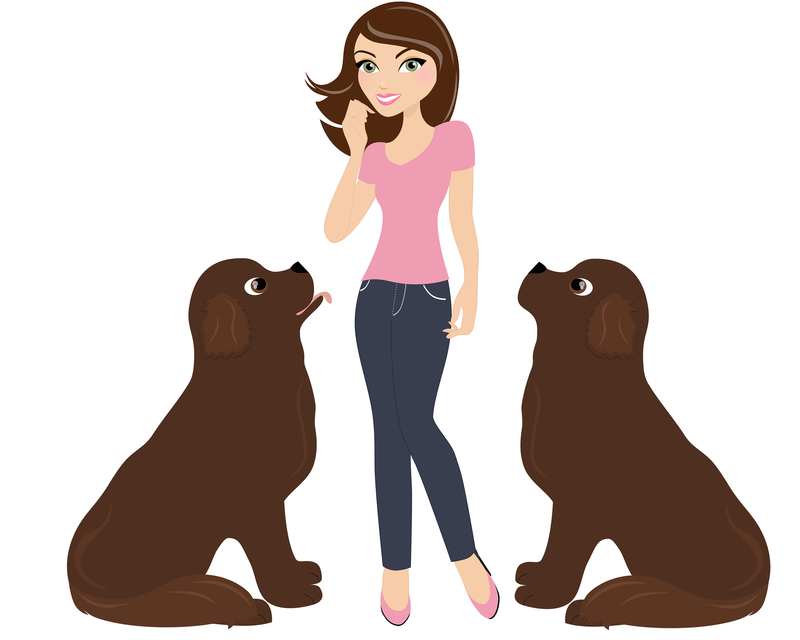 Try Dr. Harvey’s Le Dogue Bites today and receive 10% off with discount code TGD1218! What a great tutorial! EAsy to understand and follow. I am looking forward to teaching my dogs. Good idea about Dr. Harvey’s as well and it’s smart to use different flavors! We really need to think about what we are feeding our pets – especially the treats we use. Dr. Harvey’s sounds like a really incredible brand! I’ve taught hand signals for years. I find even hearing dogs respond to motion and body signals better than words. And if their hearing declines as they age, you have a communication tool in place. But I struggled coming up with signals (just like I do with verbal cues). I don’t know why I never looked at ASL terms. I feel very stupid. But grateful I stopped in and got an education. BTW, we tried using hand signals when anchoring on our boat. But my husband struggles to remember them. So we end up shouting back and forth. Heading off to look up ASL for common anchoring terms. He might find signals easier to remember if they are part of a coherent language. Wonderul post and awesome video! I feel hand signs are just as important for hearing dogs aS they are for deaf dogs. My humans would say i listen better when a hand sign is incorporated with a command. Can’t wait to learn more!! !